WE IMAGINE, WE MAKE IT REAL. 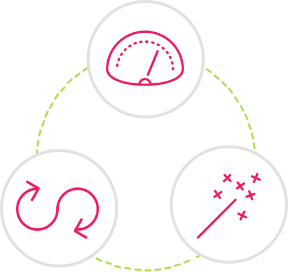 Sage X3 introduces a faster, simpler and flexible way to manage your business. It helps your company reduce inefficiencies and spend less time on non-productive tasks, accelerate business workflows, and increase insight into processes, performance and costs. With Sage X3, you are choosing the next generation business management solution for your enterprise to grow faster, leaving you lean and ready for whatever comes next, wherever you are in the world. Unlike other solutions that rely heavily on add-on software integrations to support industry-specific processes, Sage X3 includes functionality ready to use in most distribution, manufacturing and services industries. Control your bottom line with accuracy and real-time global visibility while accommodating local requirements. Keep up with demand and ensure optimal efficiency through real-time monitoring of inventory status. Get to market quickly and efficiently by managing all of your manufacturing processes with one complete system. Further expand your solution capabilities with integrated solutions from Sage and certified partners.